Leslie AD, Mencuccini M, Perks MP (2017). A resource capture efficiency index to compare differences in early growth of four tree species in northern England. iForest 10: 397-405. At a trial established in Cumbria, northern England, significant differences in growth rate between tree species were apparent, with cider gum (Eucalyptus gunnii) and alder (Alnus glutinosa) exhibiting most rapid volume and biomass accumulation. Estimations were made of leaf area, specific leaf area, leaf area ratio (based on stem mass not whole tree mass) and length of growing season. These measurements were undertaken to explain tree growth difference and developing a growth potential index based on growing season length and leaf area. The high leaf area of cider gum and alder explained some of their superior growth, while alder also had the longest period in leaf, compared with ash (Fraxinus excelsior) and sycamore (Acer pseudoplatanus). The slow growth of ash can be explained by the short period in leaf and also the relatively low leaf area ratio. Leaf area to stem weight also differed between species with that of ash being relatively low. Specific leaf area was also low for ash, a trait shared with cider gum, which suggests that these species invest highly in each unit of leaf area. Of the tree species assessed, the length of the growing season was longest for alder, enabling it to maintain growth for a longer period. By multiplying growing season by leaf area a resource capture index was calculated and this explained 56% of the variation in stem dry weight between trees. The potential and limitations for using this index are discussed. Aboveground biomass relationships for mixed ash (Fraxinus excelsior L. and Ulmus glabra Hudson) stands in Eastern Prealps of Friuli Venezia Giulia (Italy). Annals of Forest Science 62: 831-836. UK seasonal weather summary, winter 2010/2011. Weather 66: 99. Relative growth rate in phylogenetically related deciduous and evergreen woody species. Oecologia 128: 172-180. Fluxes of CO2, CH4 and N2O from drained organic soils in deciduous forest. Soil Biology and Biochemistry 37: 1059-1071. Photoperiod sensitivity of bud burst in 14 temperate forest tree species. Agricultural and Forest Meteorology 165: 73-81. Light use efficiency and the woody biomass production of poplar and willow. Forestry 61 (2): 125-136. Soil data sheet for the Newton Rigg trial. Centre for Ecology and Hydrology, Lancaster, UK, pp. 1. 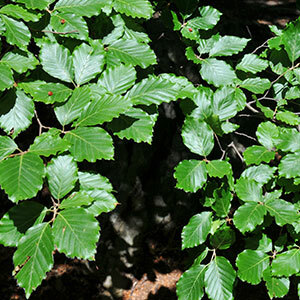 A review of the characteristics of black alder (Alnus glutinosa (L.) Gaertn.) and their implications for silvicultural practices. Forestry 83 (2): 163-175. The dynamic nature of bud dormancy in trees: environmental control and molecular mechanisms. Plant, Cell and the Environment 35 (10): 1707-1728. The potential suitability of provenances of Eucalyptus gunnii for short rotation forestry in the UK. Quarterly Journal of Forestry 102 (3): 185-194. A re-assessment of cold-hardy eucalypts in Great Britain. Forestry 59 (2): 223-242. Regions of provenance and seed zones in Great Britain (including zones for indigenous Scots pine.) Forestry Commission, Edinburgh, UK. pp. 1. Assessing bud burst in rowan. Forest Research Northern Research Station, Roslin, UK, pp. 4. A review of the impacts of short-rotation forestry. LTS International, Edinburgh, UK, pp. 153. Choosing provenance in broadleaved trees. Forestry Commission Information Note no. 82, Forestry Commission, Edinburgh, UK, pp. 12. Leaf phenology as an optimal strategy for carbon gain in plants. Canadian Journal of Botany 73 (2): 158-163. Photosynthesis and leaf longevity in alder, birch and ash seedlings grown under different nitrogen levels. Annals of Forest Science 46 supplement: 476s-478s. Influence of nitrogen and potassium fertilization on leaf lifespan and allocation of above-ground growth in Eucalyptus plantations. Tree Physiology 29 (1): 111-124. Frost damage to eucalypts in a short-rotation forestry trial in Cumbria (England). iForest 7 (3): 156-161. Gaseous nitrogen and carbon fluxes in riparian alder stands. Boreal Environment Research 13: 231-242. The potential of UK forestry to contribute to Government’s emissions reduction commitments. In: “Combating climate change - A role for UK forests. An assessment of the potential of the UK’s trees and woodlands to mitigate and adapt to climate change” (Read DJ, Freer-Smith PH, Morison JIL, Hanley N, West CC, Snowdon P eds). The Stationery Office, Edinburgh, UK, pp. 139-162. 1971-2000 averages. Met Office, Exeter, UK, web site. Minimum temperature monthly lowest [deg C] January 1961-1990. Met Office, Exeter, UK, web site. Spring 2011. Met Office, Exeter, UK, web site. Establishment Management Information System [EMIS]: delivering good practice advice on tree establishment in the uplands of Britain. In: “Sustainable forestry: from monitoring and modelling to knowledge management and policy science” (Reynolds KM, Ray D, Thomson AJ eds). CABI International, Oxford, UK, pp. 412-424. Leaf area ratio and net assimilation rate of 24 wild species differing in relative growth rate. Oecologia 83: 553-559. Photosynthetic nitrogen-use efficiency of species that differ inherently in specific leaf area. Oecologia 116: 26-37. Biomass allocation to leaves, stems and roots: meta-analyses of interspecific variation and environmental control. New Phytologist 193: 30-50. The UK winter of 2009/ 2010 compared with severe winters of the last 100 years. Weather 66: 4-9. Eucalyptus - Part 1, species with forestry potential in the British Isles. Journal of Forestry 110 (2): 88-97. Eucalyptus - Part 2, findings from trial plantings, and silvicultural requirements in the British Isles. Quarterly Journal of Forestry 110 (3): 161-168. An ecological site classification for forestry in Great Britain. Bulletin no. 124, Forestry Commission, Edinburgh, UK. Non-destructive leaf area estimation in chestnut. Scientia Horticulturae 108: 227-230. Eucalyptus production and the supply, use and the efficiency of use of water, light and nitrogen across a geographical gradient in Brazil. Forest Ecology and Management 193 (1-2): 17-31. Benefit to N2-fixing alder of extending growth period at the cost of leaf nitrogen loss without resorption. Oecologia 137 (3): 338-343. Leaf area determination of the shea butter tree (Vitellaria paradoxia C. F. Gaertn). International Agrophysics 22: 167-170. Shade tolerance, a key plant feature of complex nature and consequences. Annual Review of Ecology, Evolution, and Systematics 39: 237-257. Leaf allometry of Salix viminalis during the first growing season. Tree Physiology 16: 655-660. Leaf phenology sensitivity to temperature in European trees: do within species populations exhibit similar responses? Agricultural and Forest Meteorology 149 (5): 735-744. Correlations of leaf area with length and width measurements of leaves of black oak, white oak and sugar maple. Research Note NE-256, Northeastern Forest Experiment Station, USDA Forest Service, Newtown Square, PA, USA. pp. 3. Physiological regulation of productivity and water use in Eucalyptus: a review. Forest Ecology and Management 193: 113-140. A comparison between European, continental and British provenances of some British native trees: growth, survival and stem form. Forestry 65 (3): 253-280. Protocol for assessment for senescence and leaf size in birch. Forest Research, Northern Research Station, Edinburgh, Scotland, UK. Principles of experimental design. In: “A manual on species and provenance research with particular reference to the tropics” (Burley J, Wood PJ eds). Tropical Forestry Papers no. 10, Commonwealth Forestry Institute, Oxford, UK, pp. 67-81. Leaves at low versus high rainfall: coordination of structure, lifespan and physiology. New Phytologist 155 (3): 403-416.